DOWNLOAD DIRECTORY AD SPECS HERE. NCHEA Directory is b/w & color laser copied with a full color matte coated card stock cover. Tape bind. All BW print ready submissions should be bw/grayscale and should be 300 dpi. All COLOR print ready submissions should be in four color (CMYK), and images should be scanned at 300 dpi. 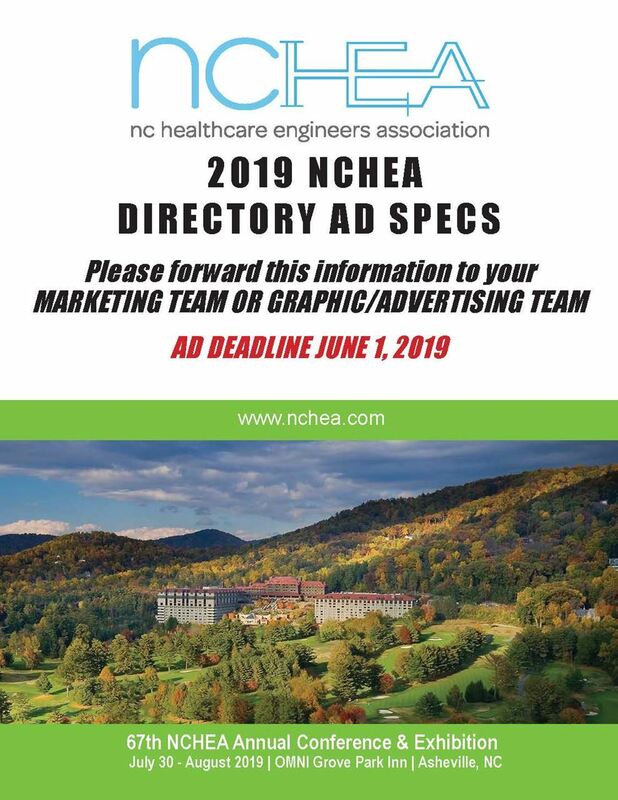 All ads must be submitted by the issue deadline and approved by NCHEA. Inside Back Cover allow for 3/4” binding on left side of ad. GO HOME WITH ALL THE ENGINEERS YOU MET AT THE CONFERENCE!